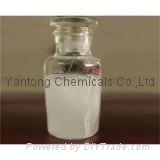 This is excellent faoming & detergency profiles & biodedradable surfactant. Has well anti-hard water efficiency & mild to skin. SLES is wildely applied in hair shampoo, bath shampoo, dish detergents & complex soap, it is also used in wetting & clearer in textile industry.